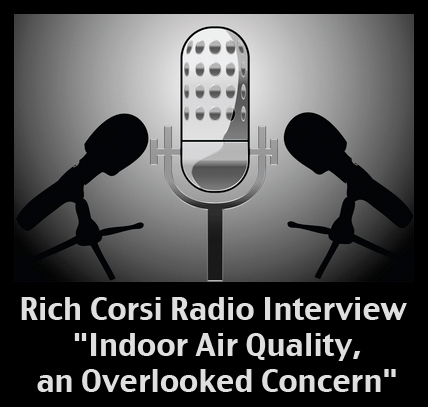 Rich Corsi radio interview about “Indoor Air Quality, an Overlooked Concern” – microBEnet: the microbiology of the Built Environment network. Great two-part interview with Rich Corsi from UT Austin talking about indoor air quality. If you’re the kind of person who stays in your house because you’re worried about the air quality outside… don’t listen to this interview because then you’ll have nowhere left to hide.